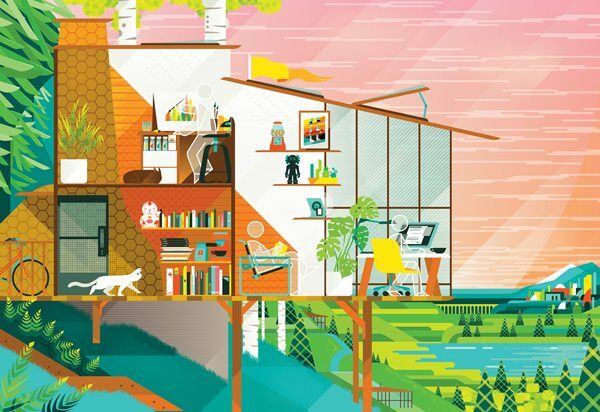 I asked Twitter “What’s your Dream Workspace?”. Twitter replied… and then I illustrated it. 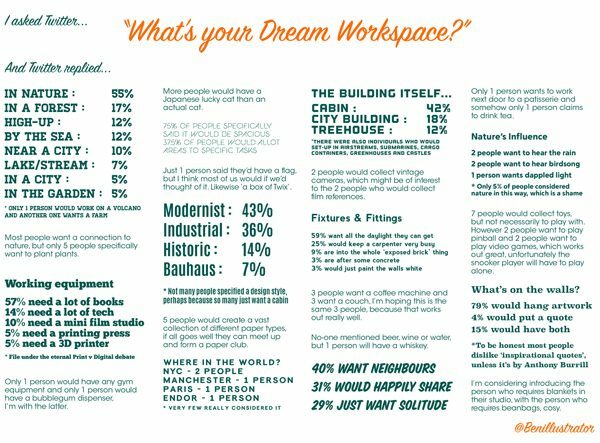 This is a self-initiated project intended to create the ‘dream workspace’ for the creative professional, by collating the answers from 99 Twitter followers and using them as the concept for the final artwork.